House hunting in France can only really be described as challenging! If you want to truly find all the properties for sale in any given area, there is no single source to look at and there are lots of things you need to know before you set about trying to arrange viewings. Having said it is difficult, it can also be incredibly rewarding as there are so many charming properties to choose from and some real bargains to be had if you conduct a thorough search. 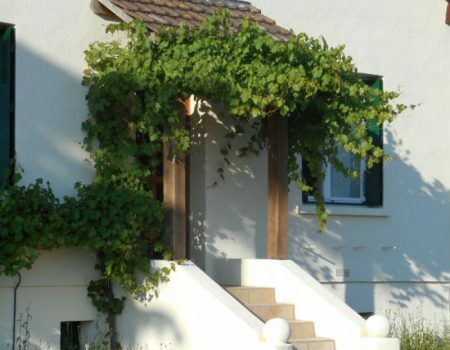 We cannot profess to offer you up to date advice on the legal issues, logistics or expenses involved in a property purchase in France and our aim on this page is simply to give you a few tips on how to search for the right property. However, there are plenty of good books on the subject and a couple of great web resources to give you find more in depth information (listed below). We strongly suggest you are well researched on the process of buying here before you even set foot in France or start looking at individual properties. To commence your search and whet your appetite there are several websites in English that list properties for sale in France (suggestions below). Some are paid-for advertising sites (where house owners pay to advertise) and others are Estate Agent’s sites listing all the properties they have for sale. Whilst these sites do list genuine properties for sale, they tend to focus on areas where there are lots of expats and typically only represent a tiny fraction of the property that is for sale in any given area. To get a more representative look at everything that is for sale, the French website “Le Bon Coin” is the most comprehensive we have found but it is in French so you will have to become familiar with French property jargon to navigate the site and understand the adverts. If you want to find out more about specific properties or arrange viewings you will have to speak French too (surely not a problem if you are planning to buy a house here anytime soon!). So why is it such a good idea to go house hunting in a motorhome or campervan rather than trying to stay in hotels? Local newspaper adverts (you need to buy them locally). With a Notaire (Notary) instead of an estate agent. This is still common in France as the Notaires charge lower commission than agents to sell houses and many list properties that the agents don’t have. Most Notaires are not too great at advertising them on the internet so it’s best identify any Notaires in your target area then call in and look at their catalogue of properties. They will also record your criteria and contact you if something suitable comes on to their books. Handwritten “A Vendre” (FOR SALE) signs on the outside of the house (so if you are in a village you like, keep your eyes peeled!). It is really worth doing this as it puts you in direct contact with the owner and avoids the very high agent’s fees that exist here (so you will usually get a better price). 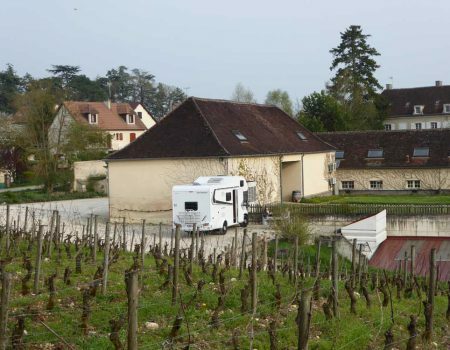 If you truly want to identify everything that is for sale, as you can imagine with so many different sources of information (many only accessible locally), you need the combination of accommodation, transport, canteen and office that only a motorhome can provide. When house hunting, plans change rapidly and in a motorhome you can respond to the changes without any inconvenience. If you book a hotel you are committed to staying there (no matter how inconvenient the location might become and if you don’t book one you might not find anywhere to stay!). Carry everything you need with you all the time from wellies to cameras, tape measures to laptops. You can even make a cup of tea or keep wine chilled for when it all gets too much. You can stay overnight and really get a feel for a particular village or even street. Have your “Office” to hand with comfortable seating and table so you can plan and communicate easily. If you are narrowing down your options and looking at a couple of different areas you can explore as the mood takes you and really get to know a region before starting to house hunt. You don’t have to have every meal in a restaurant or hotel, just keep the fridge stocked up and eat whatever suits you, whenever it is convenient. If you spot a house for sale late in the day you can make arrangements to view the following day and stay nearby overnight. If your trip is part house hunting and part holiday it’s easy to switch between the two and take more leisurely approach. Don’t restrict your search to English websites and agents, learn the vocabulary and embrace the challenge of searching how the French do. Narrow your search down to the smallest possible target area to ensure a manageable house hunt and avoid being seduced by a gorgeous property in totally the wrong location (it’s really hard to stay focused with so much charming property for sale but you can waste a lot of time looking at stunning houses in unsuitable areas). “Calibrate” your eye on prices in the area you are looking at by doing lots of searching online before you come. As many properties are not placed with agents, there is often no sound logic behind an asking price so it’s best to have a good idea of what things are actually worth. Create a shortlist of properties to see but allow time to fit in other local viewings in each area as the information you can find before you come is only half the picture. Also, if you have arranged multiple viewings with an agent, spend a bit of time at their office before being taken to view to ensure the properties tick all the boxes you want ticked. Bring or hire a GPS to take the strain out of navigating and ensure domestic harmony prevails. Be prepared for an agent to take days to arrange a viewing. They typically are closed on Sundays and Mondays, are often booked up weeks ahead for Saturdays and may need to give owners a day or two of notice to view. If you are pressed for time but really want to get a quick look at a property, suggest to the agent or notaire that you sign the “Bon de Visite” (an acknowledgment that the agent or notaire is introducing you to the property) then do a drive by to see if you like the location/look of the house before agreeing to a lengthy viewing with the agent. Most people are simply amazed at how inexpensive property in France is so we doubt you will be disappointed if you come and take a look. If you can spare the time, try and mix your house hunting or area hunting with plenty of days off and, like many of our clients before you, you will have a really enjoyable trip discovering charming villages and real France.